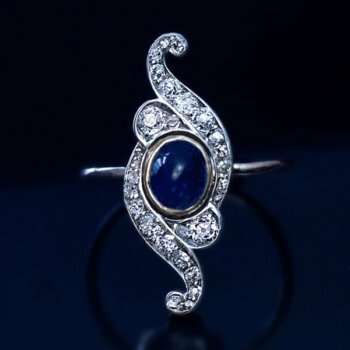 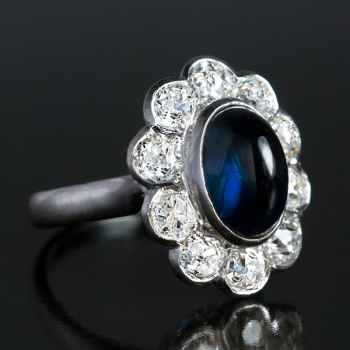 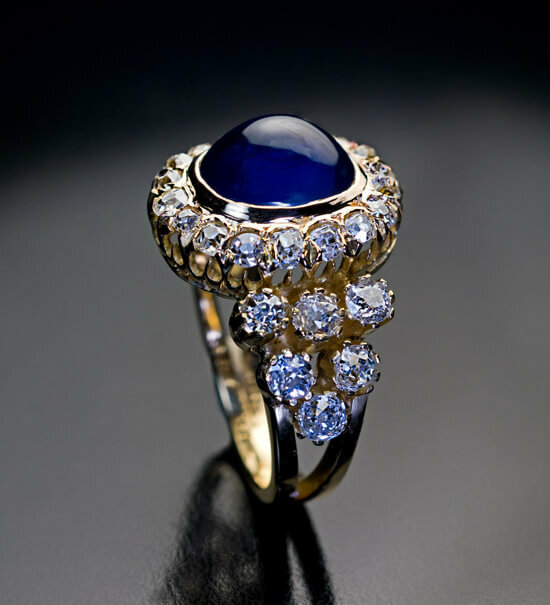 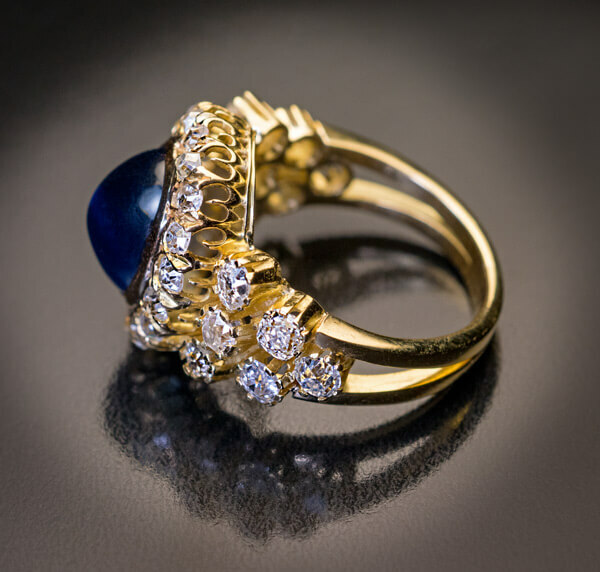 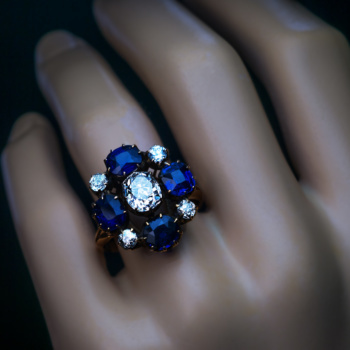 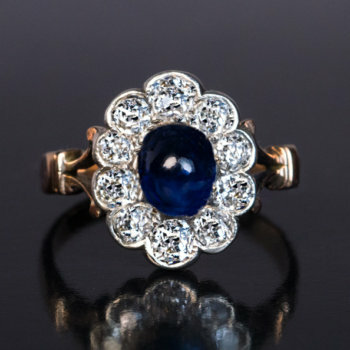 A Victorian era antique 18K gold ring is centered with an oval 5.37 ct cabochon cut natural sapphire of a velvet dark blue color. 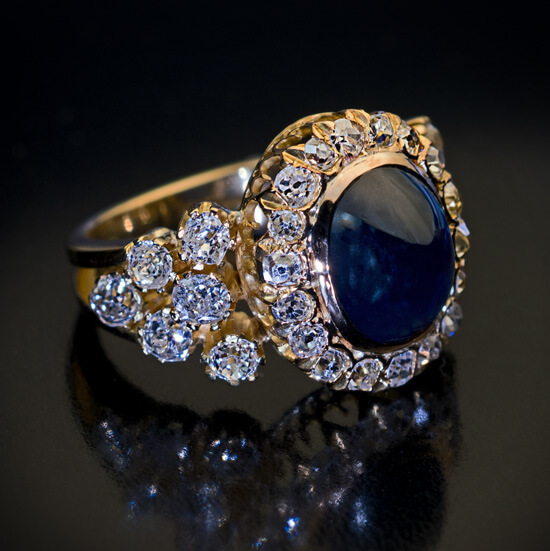 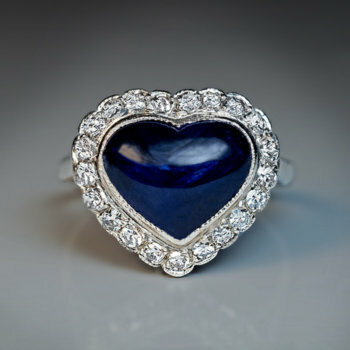 The sapphire is framed by 18 sparkling old mine cut diamonds. 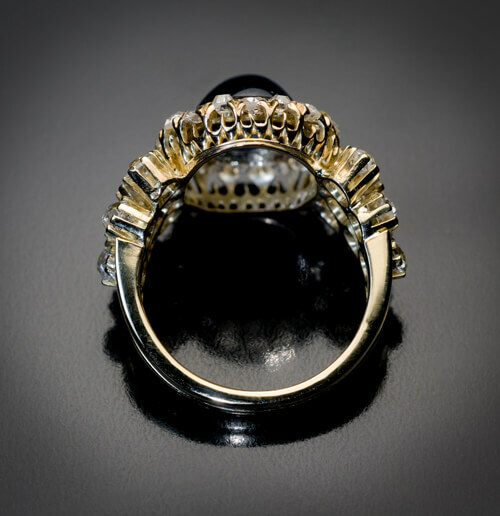 The split shoulders of the ring are prong-set with 12 old European and old cushion cut diamonds. 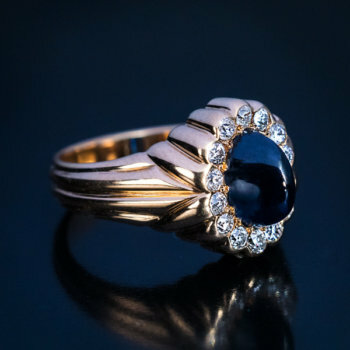 Those diamonds were added at a later date. 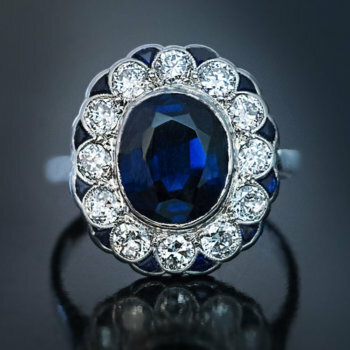 The sapphire measures 10.75 x 9.02 x 5.45 mm. 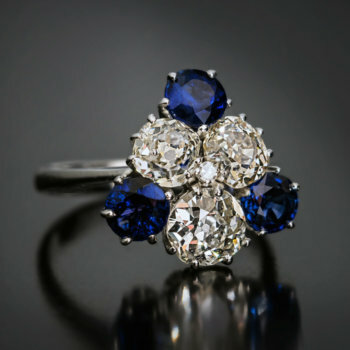 Estimated total diamond weight is 2.60 ct.